I'm not changing direction in here entirely, but refining, focusing, and generally polishing it up. 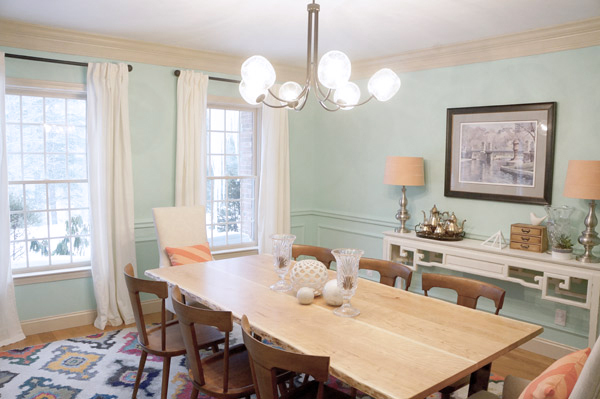 Aside from the dining table and floor, almost everything is getting at least a tweak. 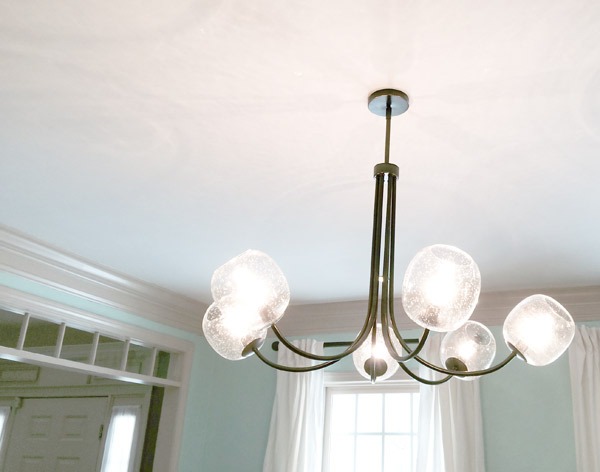 Install new larger scale light fixture- I've been swooning over the Capiz Globe Chandelier from Serena and Lily for years. Brightened up artwork like this etsy print from ParimaCreativeStudio. 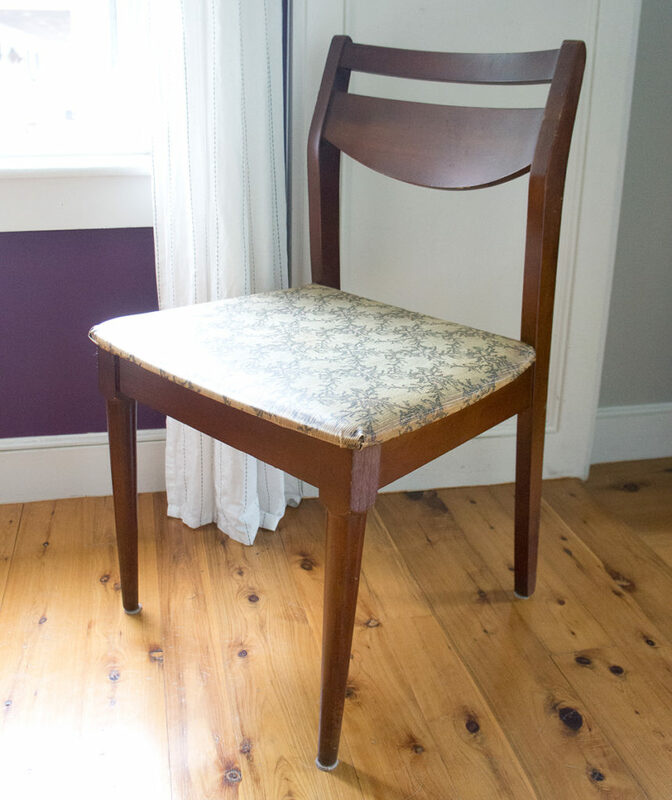 Refinish and reupholster side of the road dining chairs. Possibly with this dreamy Kate Spade Marble Swirl fabric. Not shown- new captains chairs... TBD! Now that I've made some design decisions, I naturally want it all done yesterday. The reality is, though, that the room will probably come together over the next month or 2. I really can't wait to get to the finished product and a photo-worthy room for the first time!! I'll be sure to share each project in this space as is all comes together! Our dining room has never felt "done" in the 5.5 years that we've been in this house. Even when I declared it done previously I think I was just trying to convince myself unsuccessfully. There's a reason that I've never taken proper photos of this room- it's never been worthy. It's been through several evolutions and I'm super excited about my latest plans for it!! I swear, either the universe or the side-of-the-road trash gods have been smiling on me. My plans have been evolving slowly for this room, then suddenly fell into place Wednesday. Let's see if I can quickly catch you up on this space.... Our dining room has changed a bit over time, but it's always felt unsettled and never a room that I wanted to shout from the rooftops or post to instagram. It doesn't look like an interior designer's dining room. This is what it looked like back in 2013 when I last did any major work in here. I feel like my style has grown so much in the past few years that this room is just an ancient relic constantly reminding me of design missteps (melodramatic much?). A few small things have changed since that photo such as adding a second curtain panel to each window (why in the world did I think just one panel per window would be chic?? 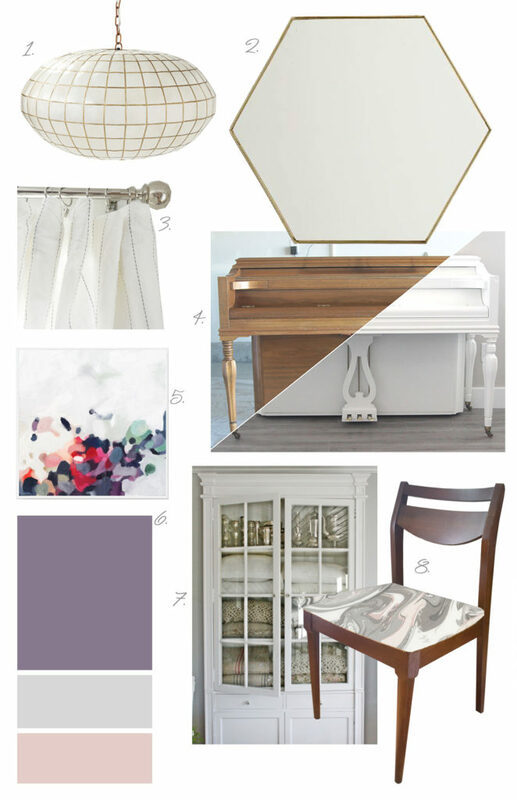 ), banishing the painted chairs for calmer, matching chairs, and switching up the mantle/piano top decor. Yep, in 2.5 years, that's all I've touched in here. We don't use the room a ton, but we walk through it every time we need to get to the kitchen- I just put my blinders on and envision the dining room of my dreams. the paint color. The bane of my dining room existence. 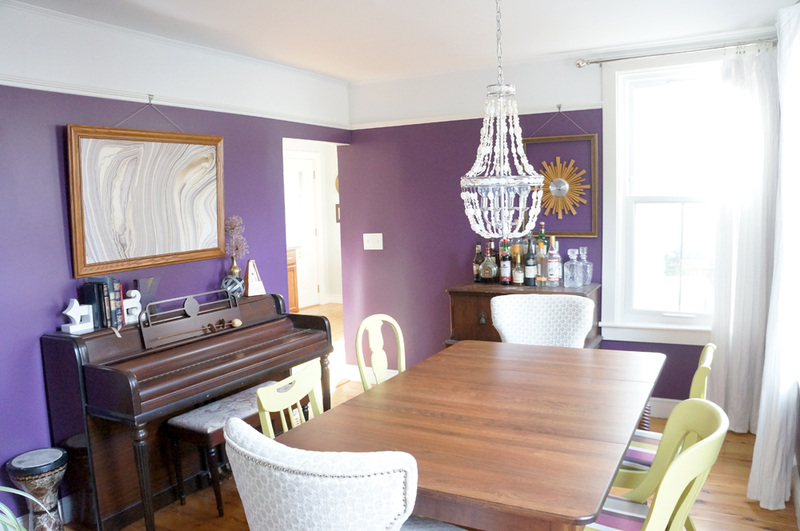 I love a purple dining room, but this is not the right purple or sheen. It's not bad in person, but it's positively horrific in photos. the captain's chairs are a chenille fabric which is very enticing to kitty claws and shows every little pull. While I've been itching (more like twitching) to do something about this room, I've been trying to curb house spending since Hubby recently joined me in self-employment as the best darn Realtor you could ever work with. Thanks to several side of the road finds, though I can finally make big changes in this space for a reasonable budget! My first side of the road game-changer was a set of chairs. Before I go on, let me say, it's not that I live somewhere where there's always amazing stuff on the side of the road- I just ALWAYS have my picker radar up. It's a keen skill that I thank my parents for. SO over the winter when I saw a pile of furniture around the corner from my house, 4 of these midcentury chairs just jumped into my car. Chairs jumping into my car has been a longstanding issue, however I think this time it was well worth it. They need refinishing and clearly reupholstering, but we've been using them for months as is. 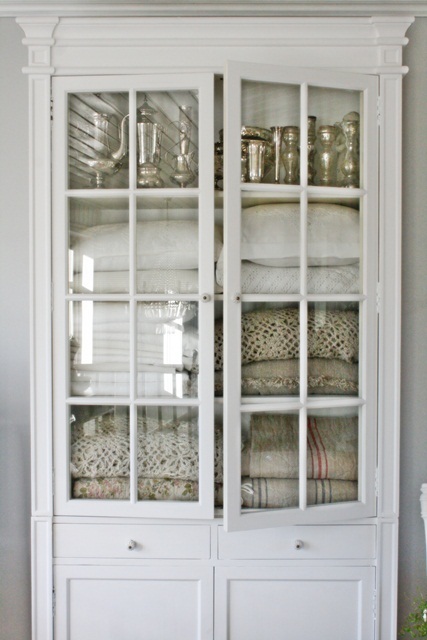 Instead of building it from scratch like I did with my living room built-in, I plan to use vintage doors and a vintage dresser if I can find one the right size. Much like the living room shelving, though, I've had this idea stuck in my head since shortly after moving. When an idea sticks for that long, I really need to listen to it. That's actually what lead me to my second roadside revelation. 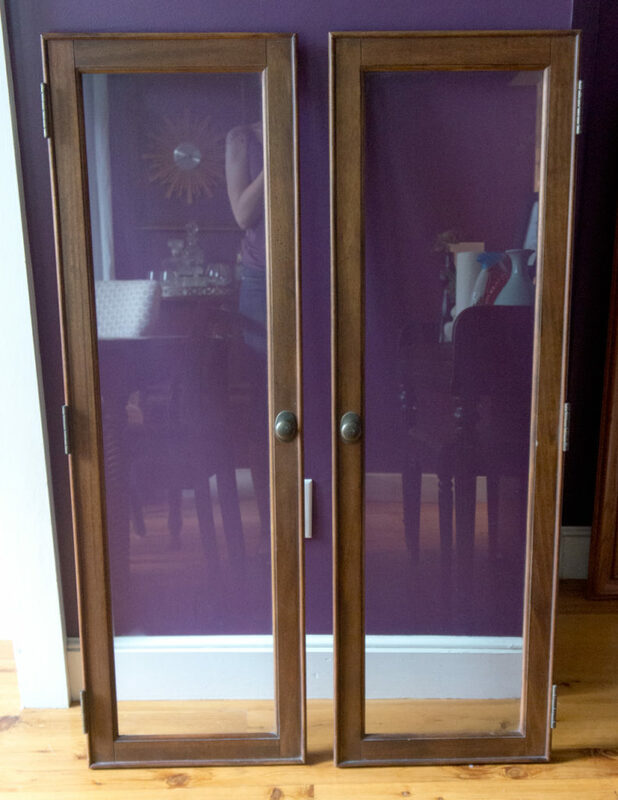 After scouring Craigslist, I drove 45 minutes to pick up these vintage wood doors complete with hardware for a whopping $4 total. On the way to the pick up location, I passed a trash pile. Not a pile of furniture like with the chairs, but a literal trash pile. 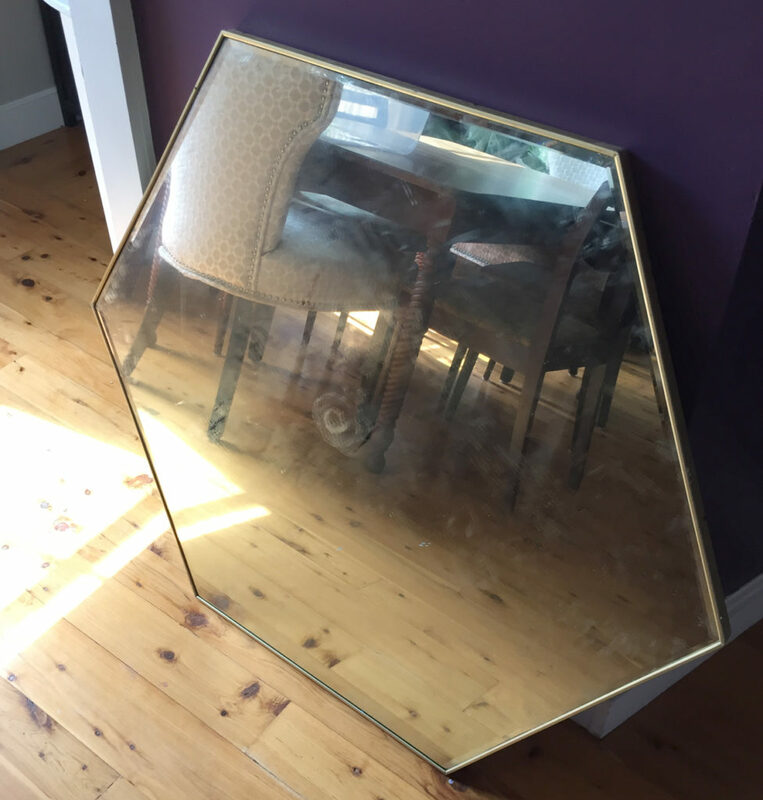 A trash pile with a 3' tall hexagonal gold, framed gem sticking out of it. I don't even want to know what was smeared all over it, but I'm still in complete disbelief that I found this on the side of the road! This mirror is seriously huge and dreamy. And with that find, my dining room plans are falling into place. I'll be back next week with my complete vision for the room. Until then, have a great weekend and happy picking!! In the midst of dealing with this crazy winter and my flipping frenzy, I've also been keeping myself busy(er) with my design business, Copper Dot Interiors. I did a dining room install over the weekend and snapped a few quick shots as I was on my way out that I'm eager to share. My clients hadn't really touched the dining room at all since moving in a little over a year ago and the previous owners clearly hadn't done much since it was built in the 90s. Don't you just love builder-grade brass chandeliers?? My clients weren't sure what their style was, but they knew it wasn't this. Turns out they were looking for a quirky yet sophisticated room with some color that could be used by the whole family (including small children). There are still a few small tweaks to be made and I'll be getting better pictures when I'm there next, but what a contrast! The trim color stayed the same off white since it runs throughout the entire home, but aside from that I was given a blank slate to play with. 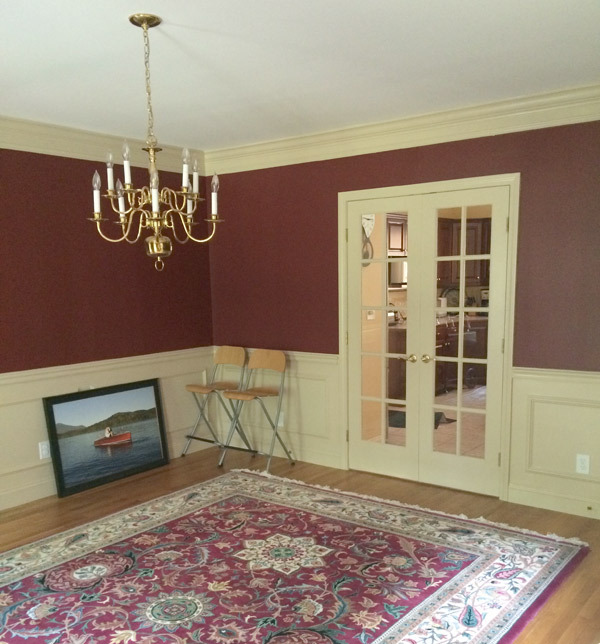 In just switching out the maroon walls for Benjamin Moore's St. John's Bay, the room feels instantly about 5 thousand times brighter. 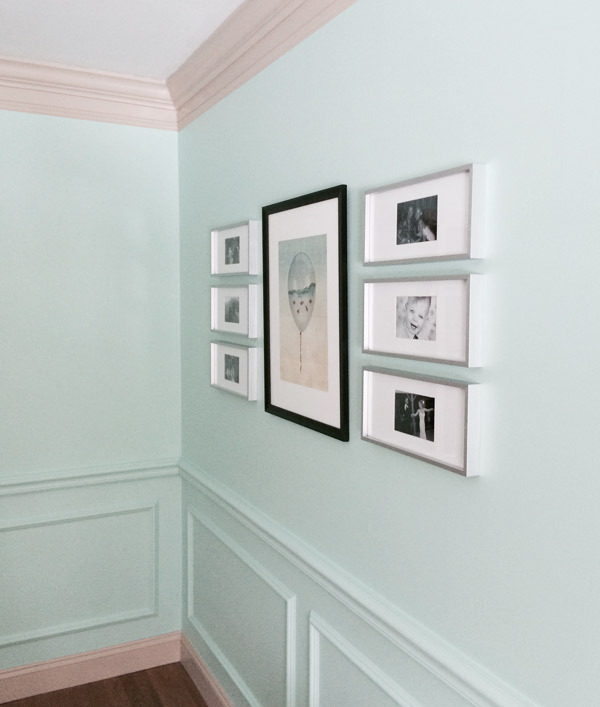 It's amazing what a swift injection of color can do to a space!